Naxos is a combination of laced shores, cute traditional villages and hospitable local people with the smile on their faces. These are some of the reasons why you should visit that Greek destination. The land of the island is extremely fertile therefore you are going to taste some delicious sweets, drink and foods produced by the local products. You can taste them and take some souvenirs for your family and friends. They are going to love them for sure. Every year and especially during the summer period a lot of tourists choose to spend their vacations on the island of Naxos. That is the reason why you have to hurry up to make your research at hotels and other accommodation choices for you and your friends. The perfect way to make the perfect choices and organize the vacations of your dreams is to base your research on you personal needs and exceptions. As soon as you realize what you are looking for, you can complete the search form with your criteria and you are going to take as a return a list with compatible choices. Find what is the perfect available room for you and your friends and proceed to the online booking. 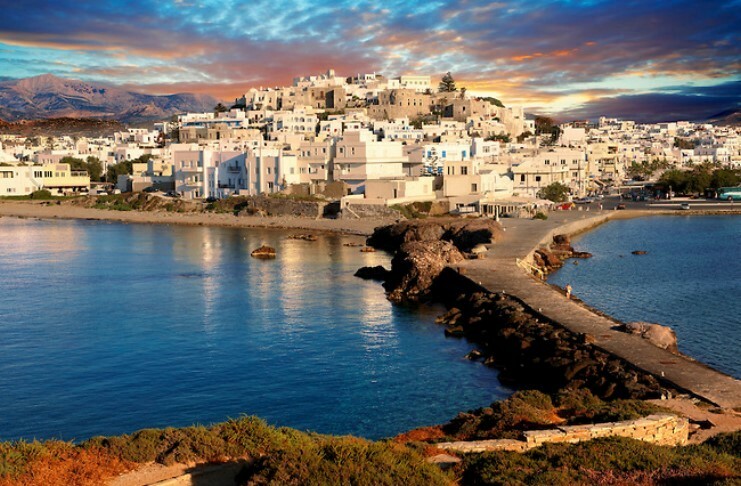 If you would like to travel to Naxos it would be useful for you to know where you are going to find the most economic airtickets and ferrytickets. The sooner you decide to make your reservation the better prices you will get. Enjoy the sea and the island of Naxos by booking the activities before even reaching the island.